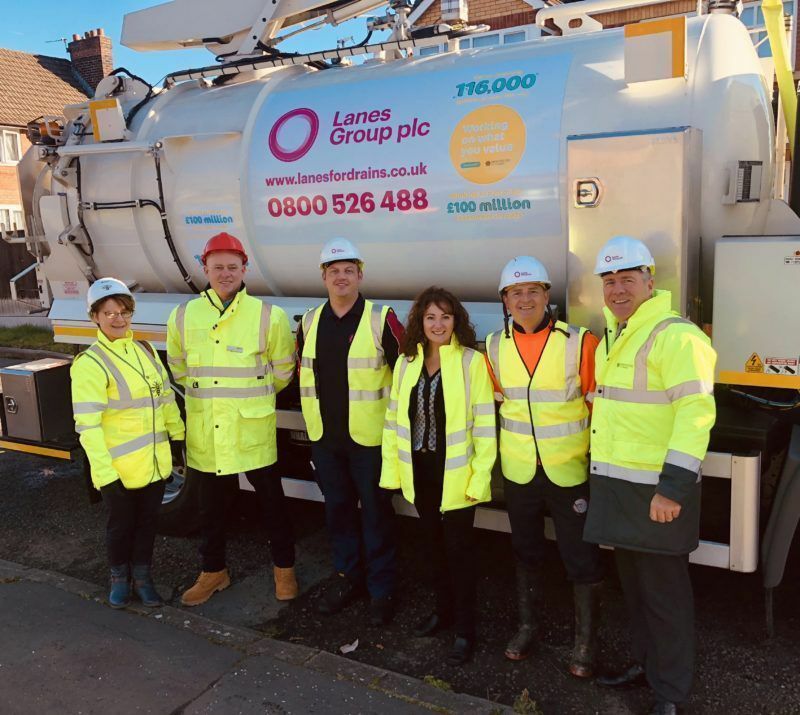 Drainage engineers from Lanes Group plc are helping reduce the risk of localised flooding on Manchester roads through a comprehensive programme of planned gully cleaning. Lanes has begun work on a contract, awarded by Manchester City Council, to clean all 58,000 roadside gullies in 18 wards across the south of the city over the next two years. A key priority of the initiative, part of a £100m investment in highway maintenance in Manchester over five years, is to reduce the risk of blocked drains causing localised flooding. Lanes Group has created six new jobs to support the highway drain cleaning push. Its gully sucking vehicles are following a detailed and structured work programme across hundreds of roads. Simon Roberts, Business Development Manager for Lanes, which has headquarters offices and an operational depot in Eccles, Salford, said: “The gully cleaning programme started in August and is progressing well. “By cleaning silt and other debris out of roadside gullies, we will help ensure water cannot build up during heavy rainfall, flooding roads, and even getting into homes and businesses. “During bad weather, standing water on roads contributes significantly to traffic snarl-ups and inconvenience for pedestrians, especially during the rush-hour. It can also cause accidents and increases council reactive maintenance costs. Councillor Angeliki Stogia, Manchester City Council’s Executive Member for the Environment, Planning and Transport, has visited a Lanes gully cleaning team to see them in action. She said: “This gully cleaning project will help us to encourage as many people as possible to choose cycling and walking as their preferred options for short journeys. Lanes teams are also using tablet-based digital software to capture asset condition and mapping data, allowing the city council’s highways department to effectively plan drainage repairs and improvements. A second contractor is cleaning gullies in the northern half of Manchester.